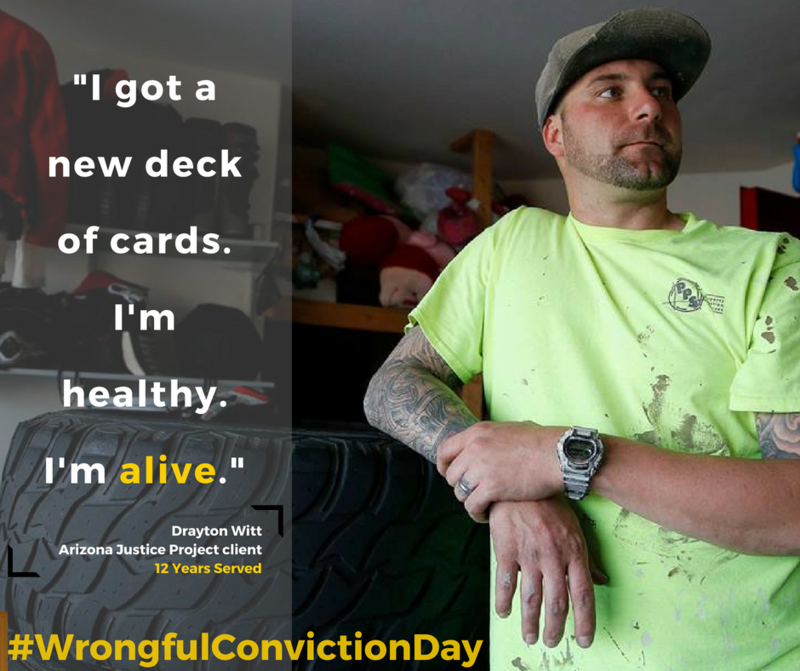 Today is the 5th annual Wrongful Conviction Day! It is a day to honor those who survived a wrongful conviction and raise awareness about the causes of and solutions to wrongful convictions. Today, we listen to the innocent and raise our voices to tell them they are not forgotten! Are you ready to make a difference? Show your support by signing AJP’s letter to Arizona criminal justice stakeholders. This letter urges Arizona to adopt best practices to prevent wrongful convictions. Together, we can help end wrongful convictions in Arizona. Wrongful Conviction Day began as an effort of the Innocence Network, an affiliation of organizations dedicated to providing pro bono legal and investigative services to individuals seeking to prove innocence of crimes for which they have been convicted, working to redress the causes of wrongful convictions, and supporting the exonerated after they are freed.